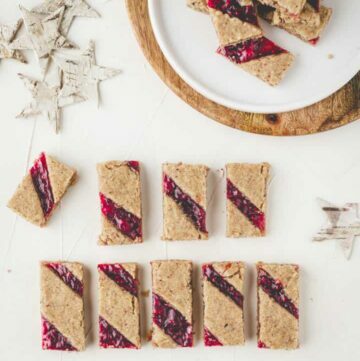 Easy to make Linzer cookies made with hazelnuts and filled with delicious raspberry jam. Let me show you how to make simple yet tasty Christmas cookies. 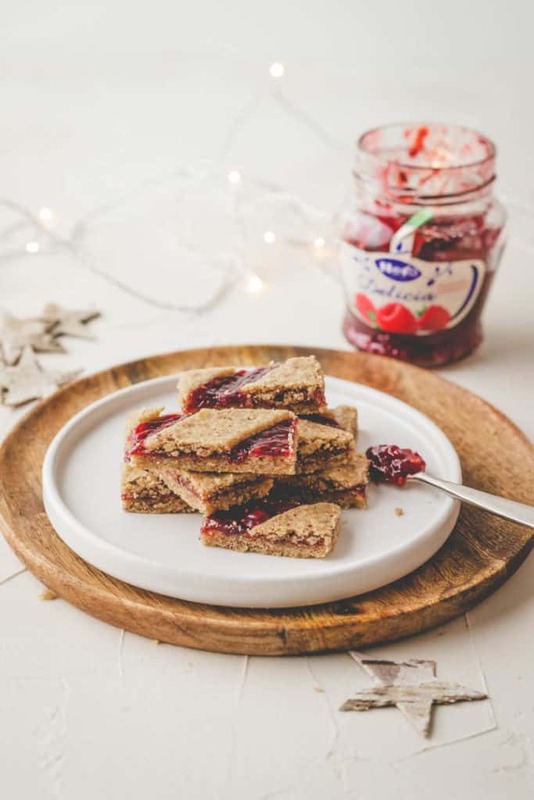 *The recipe today is sponsored by Hero Jam – Delicious jams everybody needs for their Christmas bakery at home! 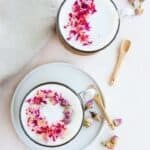 Thank you for sponsoring this post and make it possible to create free content for my readers. 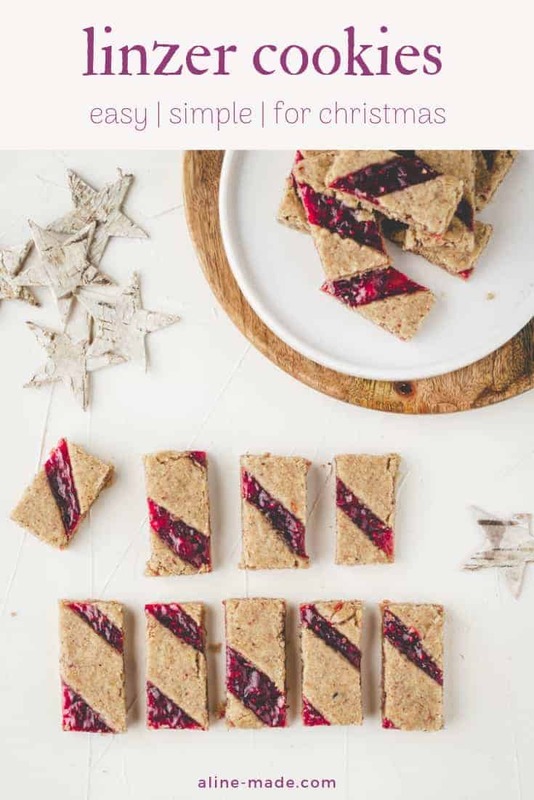 These Christmas cookies are a more straightforward way of baking the famous Austrian Linzer Tart. 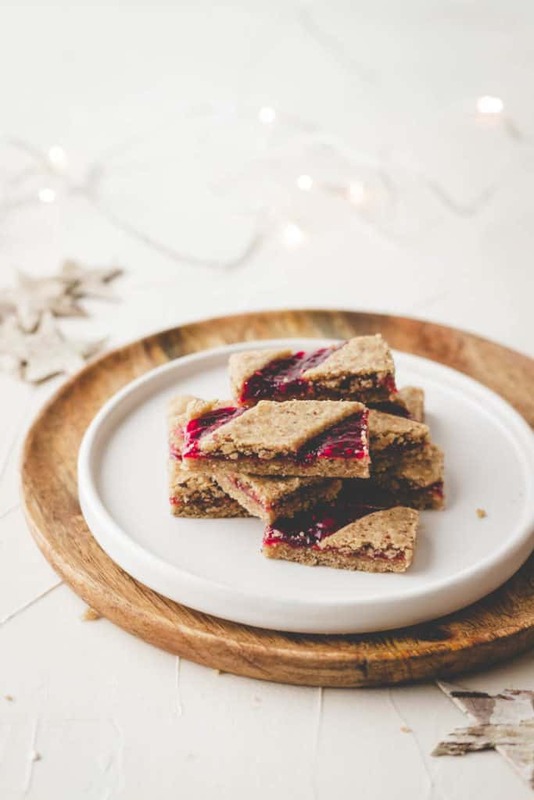 I adapted a few ingredients and steps from the original recipe so that you can enjoy these delicious Linzer cookies for Christmas. 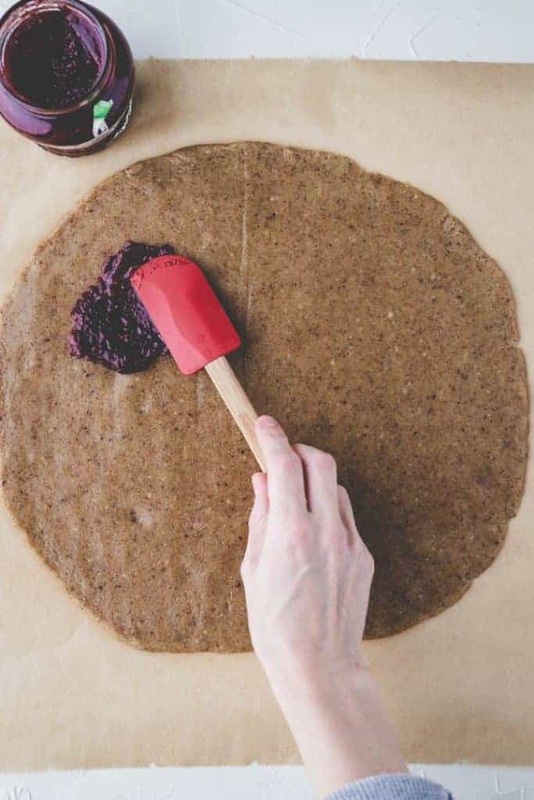 The dough is made with hazelnuts, ground cinnamon, and clove and therefore has a winterly nutty taste. 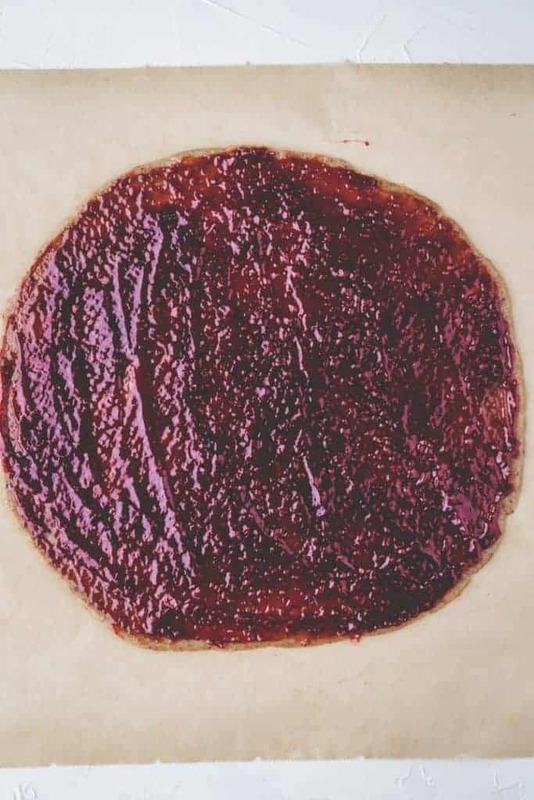 Raspberry jam makes a perfect fruity and tasty filling. It’s one of the easiest Linzer cookie recipes I have ever made. You only have to roll out the dough once and cut it into little cookies once baked. 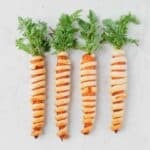 Not only do these simple steps save you a lot of time, but you can also make it if you don’t have cookie cutters at home. Roll out 2/3 of the prepared and refrigerated dough between two parchment papers. Try to form it into a square if possible – but it doesn’t need to be perfect ? 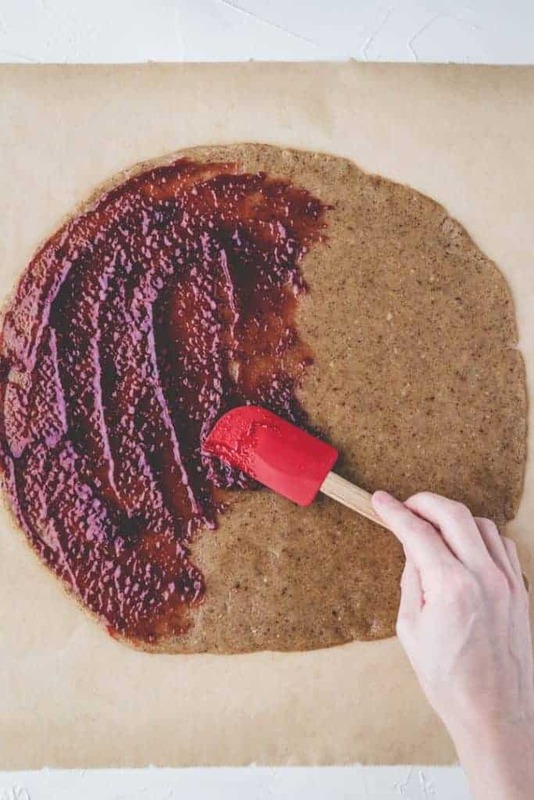 Using a spatula, evenly spread the jam onto the dough. Roll out the other 1/3 of the dough into a long square. 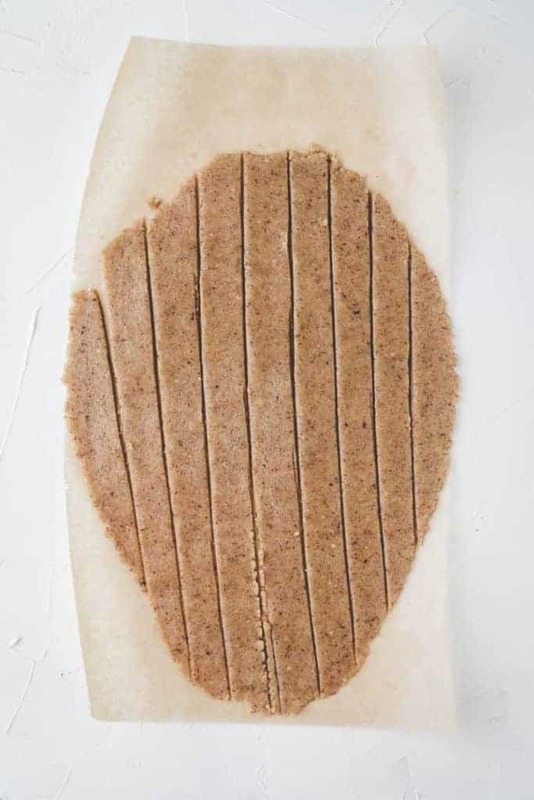 Using a knife or a dough scraper, cut into long strips. Place it in the freezer for max. 5 minutes -> this will help you to transfer the strips on top of the jam without breaking. Starting at one corner, carefully place the strips on top of the jam. If the strips break apart, slightly press them together using your fingers. 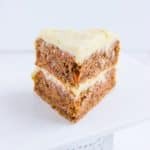 After baking, you won’t recognize it if the strips aren’t 100% perfect ? Bake it, leave it to cool down on the baking tray, and cut into small cookies. I used the Hero Delicia raspberry jam for these delicious Linzer tart cookies. 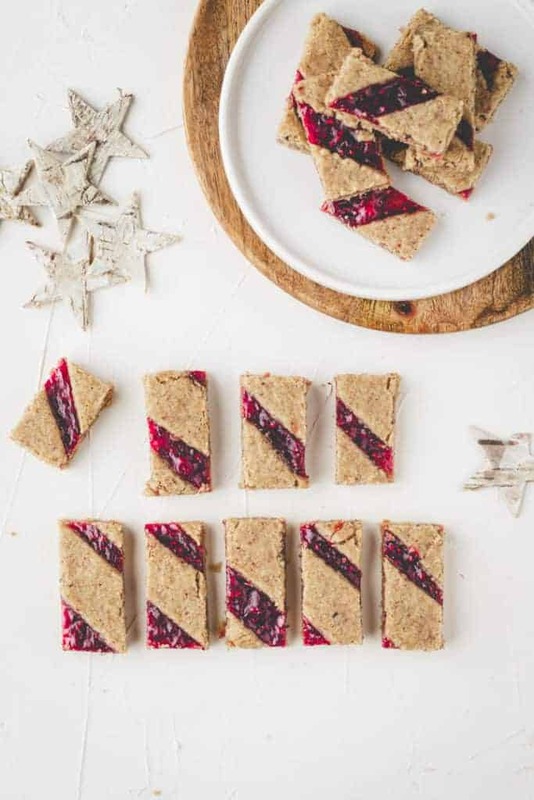 This well known and traditional jam is made with a lot of delicious raspberries and gives this cookie recipe a perfect fruity-sweet finish. Hero Delicia Apricot – For a sweet and hint sour taste of apricot! 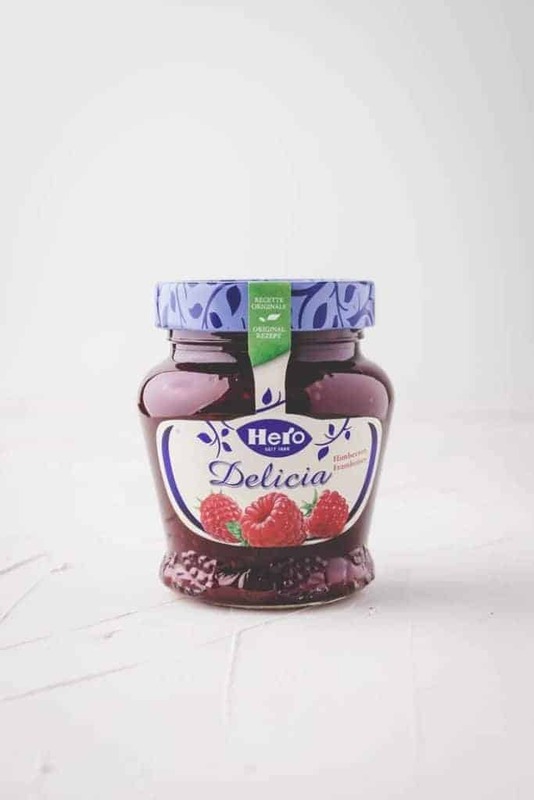 Hero Delicia Strawberry – For a smooth strawberry taste! 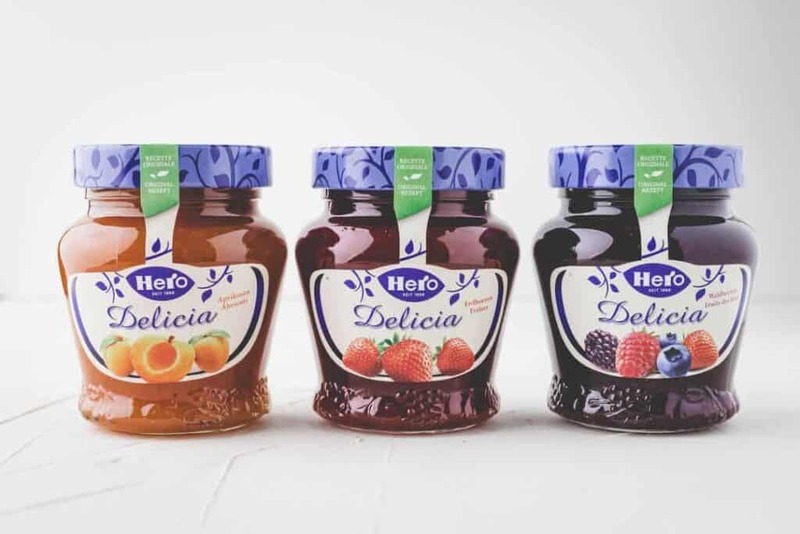 Hero Delicia Wild Berries – For the berry lovers! 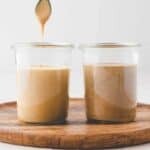 In a large bowl using a hand-held or stand mixer beat the butter, sugar, and salt until creamy. Add the egg and mix until pale. Mix in the lemon zest and spices. Add the ground hazelnuts and flour and mix until well combined. 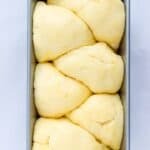 Form your dough in a ball, wrap with plastic foil, and refrigerate for at least 30-60 minutes. It’s easier to work with cold dough. 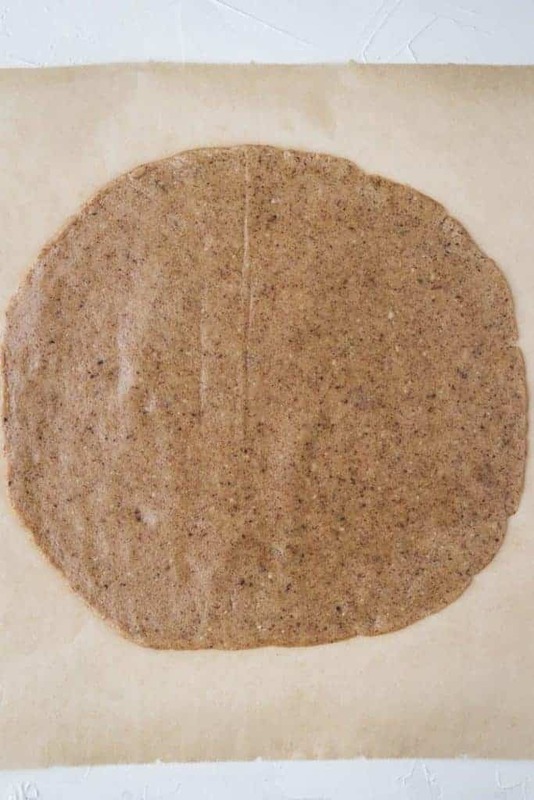 Preheat your oven to 180° C / 350° F.
Roll out 2/3 of the dough (put the other 1/3 back in the fridge) between two parchment papers using a rolling pin to ~0.2in/5mm. Spread the jam on top. Roll out the rest of the dough the same way. 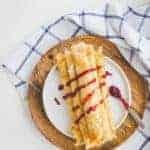 Cut into long strips and put them into the freezer for just a few minutes. 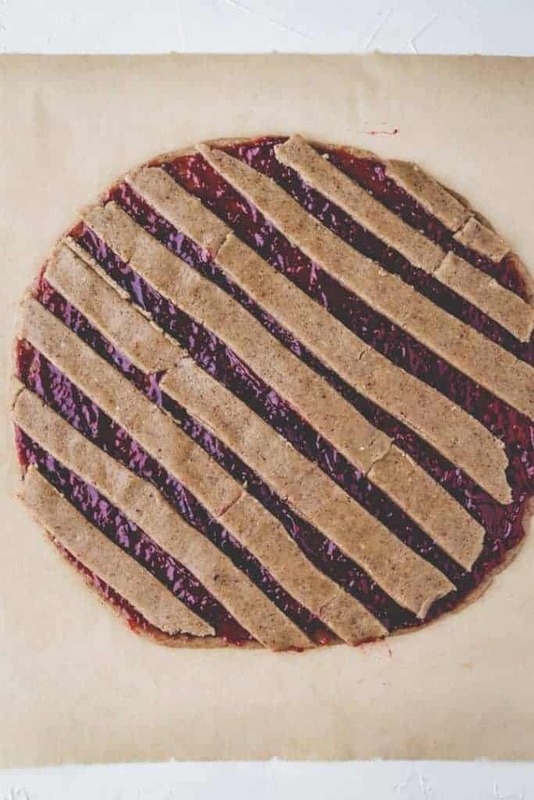 Starting at one corner, lay each strip on top of the jam. Bake the large Linzer cookie for 20 minutes. Let it cool down on the baking tray. 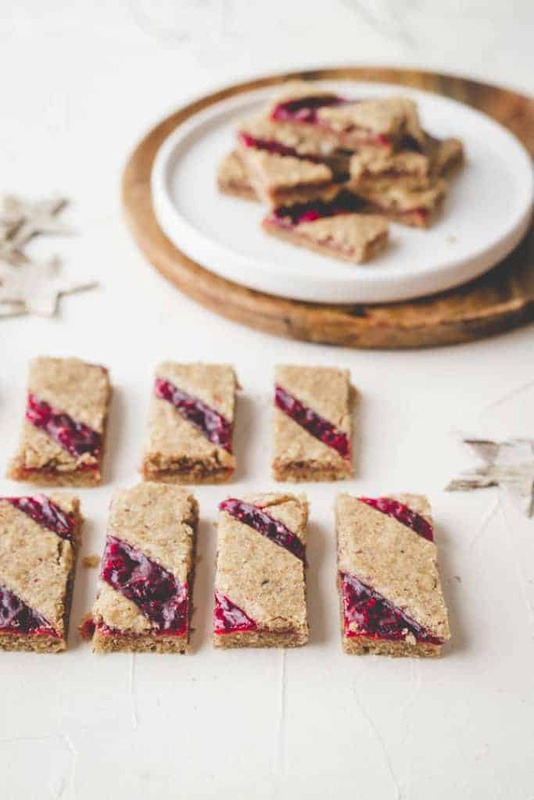 Slice into little Linzer strips and store them in an airtight container for up to one week. Use a scale to divide the dough into 2/3 and 1/3. 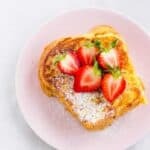 I just bought Ikea’s lingonberry jam set, so I can make these. They’re so pretty! 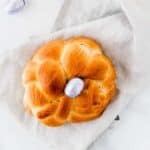 And they are so easy to make! I wish you a lot of fun while baking these Christmas cookies Quelcy. 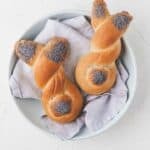 I am sure they taste divine with the lingonberry jam you just bought! Happy Christmas baking ? Thank you so much for your lovely words Natalie. 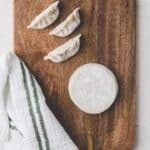 Yes, they are very delicious ?